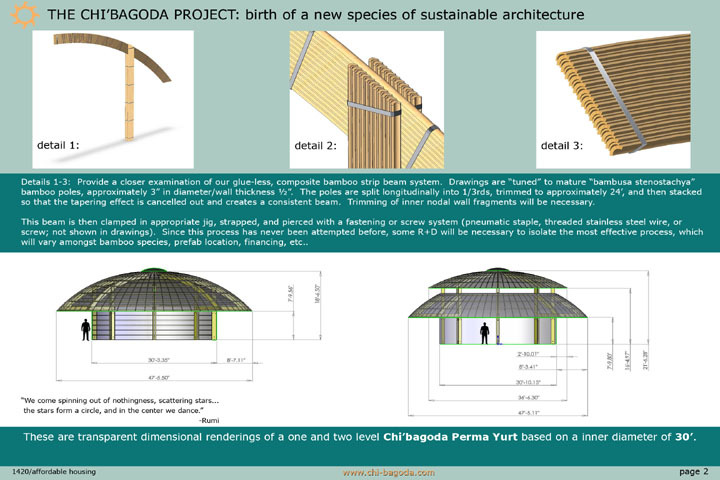 A unique bamboo composite beam method is used for the structural element of this yurt design. 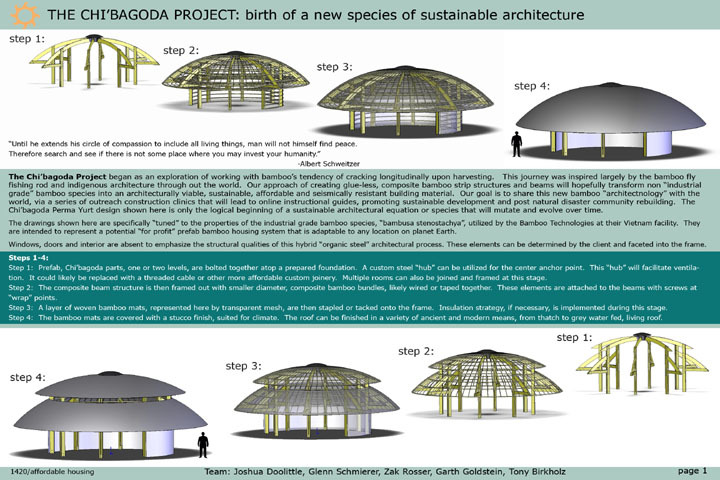 Bamboo strips are nestled into each other and bound together to create the strong, thick bundled posts which hold up the bamboo structured roof. Woven bamboo mats are tacked onto the frame to create the walls.